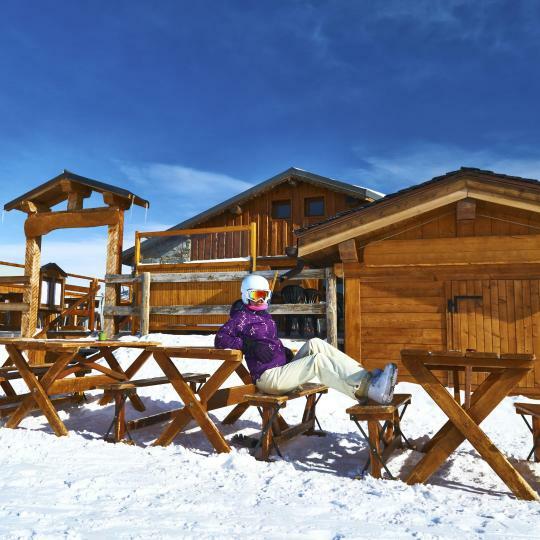 Stay in Livigno Ski Area's best hotels! Featuring ski-to-door access, a sun terrace with a swimming pool and a fitness center, Hotel Sporting Family Hospitality is located in Livigno, a 9-minute walk from Amerikan and 0.6 miles from... I rarely write comments after a hotel stay. In fact, it is the first time. This hotel and the staff far exceeded our expectations and made this the best possible holiday. They are extremely family friendly and make you feel very welcome. I've traveled in many places and stayed in many luxury hotels, but this one is exceptional. The hotel is (almost) new and the rooms, the restaurant, the wellness area and the kids are at the pool are exceptional. We will come back. Kudos to Guido and his team. Located in Livigno town center and next to the ski slopes, Hotel Victoria is a mountain-style hotel offering rooms with free Wi-Fi. The Victoria’s rooms have classic décor. Excellent parking for Motorrad! Excellent restaurant 100 m from hotel. Excellent value. €45 for a single room. The Hotel Krone is centrally located in the pedestrian area of Livigno, just 656 feet away from the Mottolino ski elevators. Set in Livigno, Hotel Marzia is a design property located opposite the Sciovia Doss ski elevators to the Carosello 3000 ski area. Being family-run, it offers a welcoming atmosphere. Wi-Fi is free. Hotel Livigno opened in 1912 and has now been in the same family for 4 generations. Set in the town center, it offers traditional Alpine-style rooms and a restaurant open at lunch and dinner. Just a 10-minute drive from the center of Livigno, Hotel Sciatori has ski-to-door access, ski equipment hire and storage, and a town-center shuttle. Overlooking the town, Hotel Parè is located next to Livigno's ski slopes. 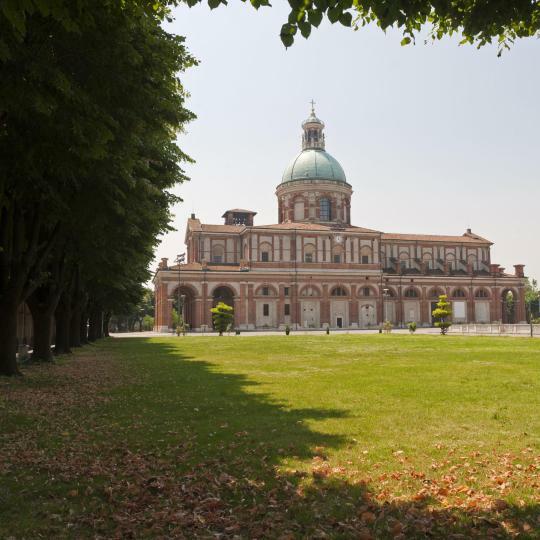 A free shuttle takes guests into the center and to the Mottolino cable car, one mile away. Only 1.2 mi from the center of Livigno and 656 feet from the Carosello 3000 ski elevators, Montivas Lodge offers rooms with a mountain-view balcony, and free WiFi throughout. Absolute brilliant new Hotel in what is a fabulous ski resort. Featuring ski-to-door access, a sun terrace with a swimming pool and a fitness center, Hotel Sporting Family Hospitality is located in Livigno, a 9-minute walk from Amerikan and 0.6 miles from... I rarely write comments after a hotel stay. In fact, it is the first time. In the heart of Livigno and 66 feet from the ski slopes, Hotel Roberta Alpine offers a spa with Tyrol sauna and a continental breakfast. We had very good stay . Room was very comfortable . Staff was great and friendly . Located in Livigno town center and next to the ski slopes, Hotel Victoria is a mountain-style hotel offering rooms with free Wi-Fi. The Victoria’s rooms have classic décor. Excellent parking for Motorrad! Excellent restaurant 100 m from hotel. Excellent value. A 5-minute walk from Livigno center, this Alpine-style hotel offers individually decorated rooms with flat-screen TV. The Cassana Cable Car for the Carosello 3000 ski area is just 98 feet away. Staff is super friendly and accommodating. Great room--very clean, and very pretty. Hiking and walking trails of varying levels weave through the rugged alpine terrain surrounding Livigno, leading to panoramic views of the countryside. 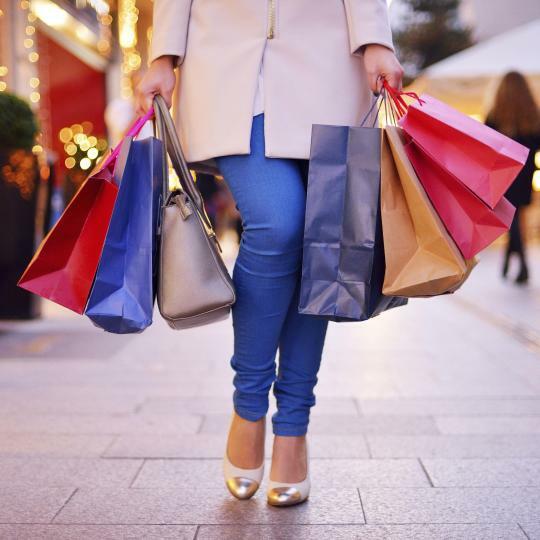 Livigno’s duty-free status makes for guiltless shopping sprees. Leave some room in your luggage and shop to your heart’s content. 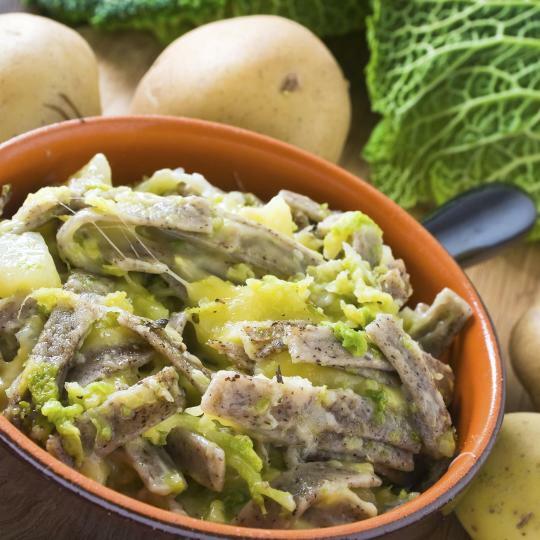 This traditional pasta made from buckwheat flour and mixed with greens and potatoes is a must try. 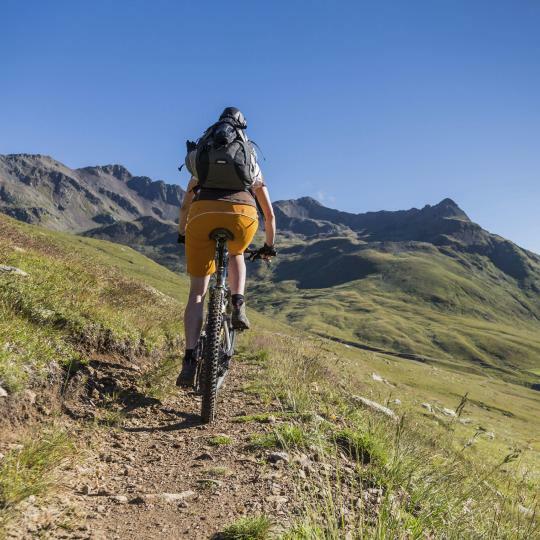 Twelve trails of varying intensities, a separate jump area and stunning mountain vistas will please biking fanatics. 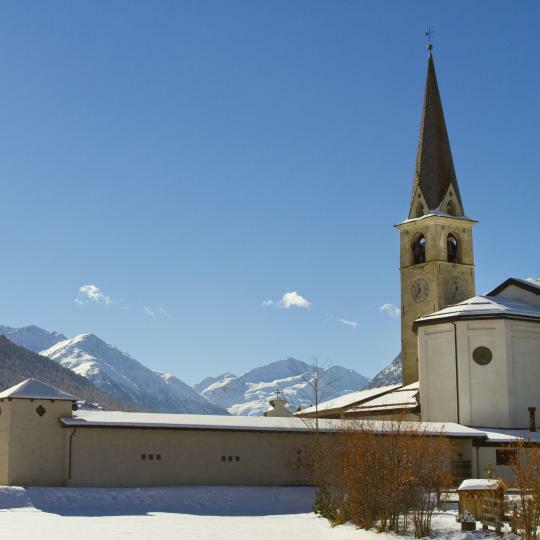 Livigno’s remote mountain location has preserved many 16th and 17th century churches, which still harbour traditional paintings. 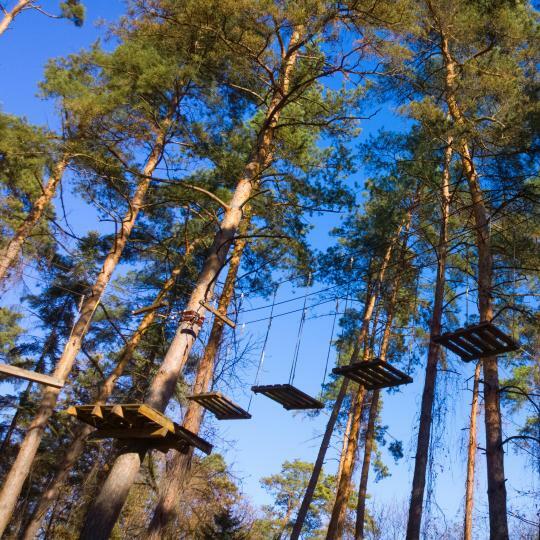 Strung high in the trees, Larix Park’s adrenaline-inducing rope courses offer safe and exciting challenges for all levels. 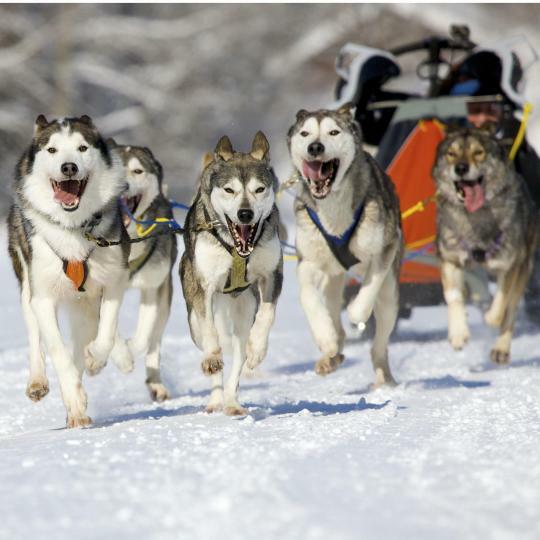 Watch the snowy scenery of Alta Valtellina blur as you race with a team of huskies on Italy’s most famous sled dog track. Livigno’s main street is flanked by countless bars and pubs serving up strong drinks, tasty snacks and warm camaraderie. Famous Italian painter Michelangelo Merisi da Caravaggio’s renowned work ‘Death of the Virgin’ adorns the wall of this small church. 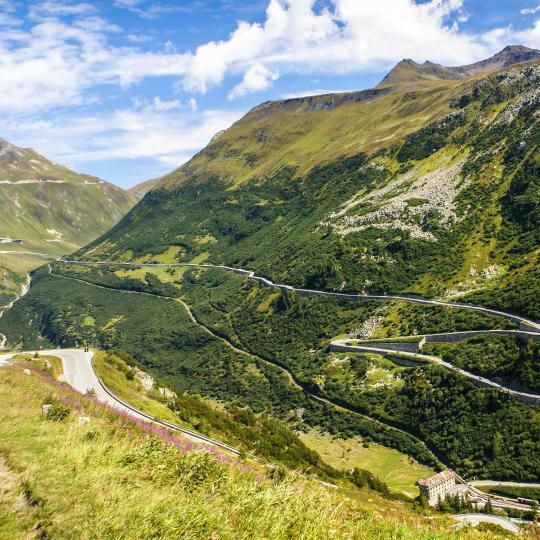 The location is about 10 minutes from the craziness of Livigno. It has its own bus stop so you can easily access town and the ski areas. The room was lovely except that on the top floor the wooden beams are low and we kept hitting our heads. Many staff spoke English well and were very kind and helpful. The restaurant was so good that we ate there three of the four nights. The bed was awesome and the rooms was the size expected. Location is perfect -just in center of Livigno and quite close to get up to a mountains. It is good place to stay during summer - I believe in winter it is more crowded. Staff is very friendly and helpful- thanks for that! It's a comfortable family hotel with really great dinners and mid-day snacks. The sauna area exceeded our expectations. Reception ladies were always friendly and helpful. Fabio was easy and pleasant to communicate with. If you have choice ask for the room with water view. The staff members were all very kind. Good service, for example we could left the car for a couple of hours longer after our check out. The breakfast was the best, such a good variety of food and super fresh. The free bus just outside the hotel was the best service ever! I reserved a room at this beautiful hotel at the last minute - It was great and the spa facilities were awesome! I would definitely return. Great hiking in Livigno as well. Staff, very friendly. We had some food limitations but that was no problem. Even to prepare something extra just for one person. Appreciated a lot! Exceptional cuisine. People come from other hotels to dine here. Little farm is real relief from the city. The animals are adorable. Above all, very friendly and helpful staff. Excellent regional food. Comfortable room (in the old part). Fine wellness facilities. The warm welcome given by all staff. They are most friendly and skilled. Great place for skiing and enjoying the Livigno. Very friendly staff. Location is OK, right in the center.